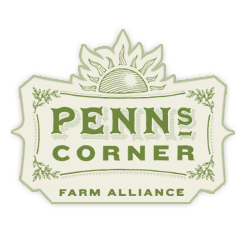 Founded in 1999, Penn's Corner Farm Alliance is a farmer-owned cooperative in Southwestern Pennsylvania. Our mission is to provide high quality, farm-fresh products directly to customers while providing a sustainable rate of return to the farmer. As a group of more than 30 members; we deliver fruits, vegetables, and other farm-raised foods directly to customers in the Pittsburgh area through our CSA (Community Supported Agriculture) program. 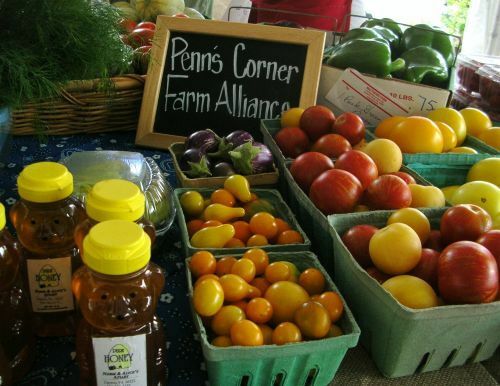 Penn's Corner CSA brings you fresh, local, high quality produce, free range eggs, local cheese, and fresh flowers to a convenient neighborhood pick-up locations in Pittsburgh and the surrounding suburbs! In addition to our CSA, we market to fine restaurants in the Pittsburgh vicinity, and host an online Farm Stand. We have built a solid reputation for freshness and quality. Our farmers use sustainable farming practices and many of them grow organically. Please contact us for more information!